Dr. Kevin Loh, an experienced doctor specialist in Medical Oncology, graduated from the Medical Faculty of the University of Hong Kong. He then underwent internship and residency training at the HKU Department of Medicine at Queen Mary Hospital. After residency he left for the United States for fellowship training in Medical Oncology at the University of Texas, M D Anderson Cancer Center in Houston. Following fellowship training in Medical Oncology and Hematology, he was appointed Assistant Professor at the same institution. In 1976, he joined the Cancer Research Center at the University of Hawaii in Honolulu as Associate Clinical Director and its medical school as Assistant Professor. Beside research and teaching he engaged in clinical practice in medical oncology in Hawaii for over 25 years. 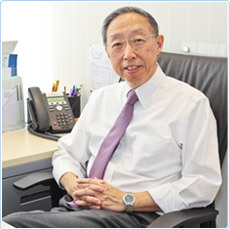 Since 2001, he relocated back to Hong Kong, establishing the AmMed Cancer Center at the Hong Kong Adventist Hospital. He now continues his oncology practice at OnCare treatment centers at Admiralty Center and Grand Plaza in Mongkok. Dr. Loh is a Fellow of the American College of Physicians and the Royal Canadian College of Physicians and is certified by the American Board of Internal Medicine and Medical Oncology. He is also a member numerous professional societies and organizations including the American Society of Clinical Oncology, International Society of Hematology, and American Association for Cancer Education. COPYRIGHT © 2011 Oncare Hong Kong All Right Reserved.